Visit Portland and do the 4Ts. Portland is a small big-city but a model of urban living with ample public transit options and plenty of green spaces. 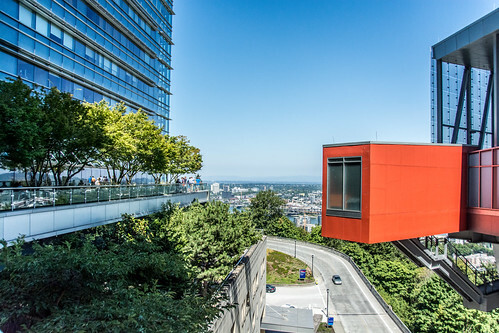 Take the aerial tram to the OHSU campus and enjoy the view of the city. You may even see Mt.Hood if the haze/fog has lifted. 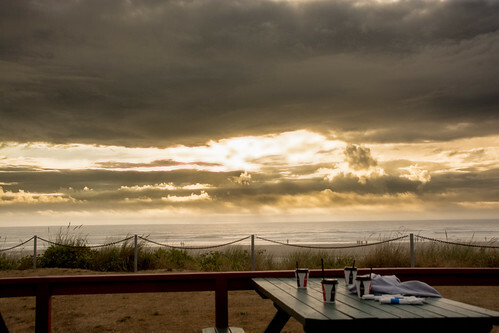 Stop for coffee at Cannon Beach but head straight to Ecola State Park. 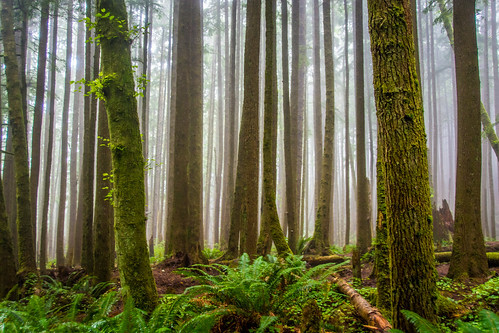 Take your time hiking through the foggy woods on the Clatsop Trail on your way up and Cannon Beach Trail on your way down. That way, you can enjoy breathtaking cliffside views of the sea toward Indian Beach and its surroundings. Hiking downhill post-hike is a walk in the park. 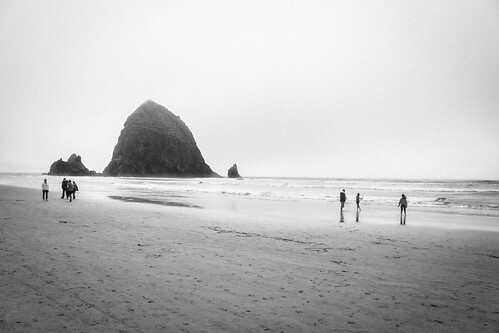 Stuff your face with razor clams at the Wayfarer restaurant with views of the famed Haystack Rock out in the distance. Take a walk along the semi-crowded beach and enjoy people-watching with kites in the wind and seagulls circling the haystack. 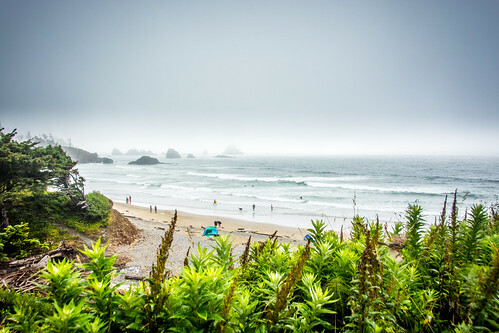 Drive along Route 101 at a leisurely pace and pull over as your heart pleases to enjoy the many overlook points of the rugged coast. Oregon coast rocks. Literally! 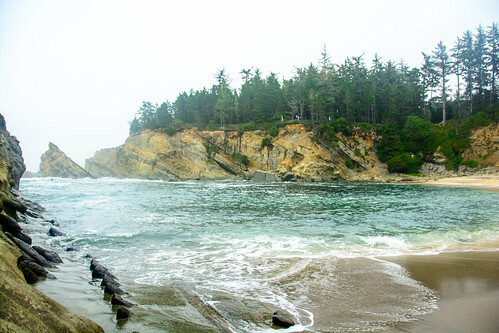 Take a pause at the Oswald West State Park and walk down to the Short Sands Beach. 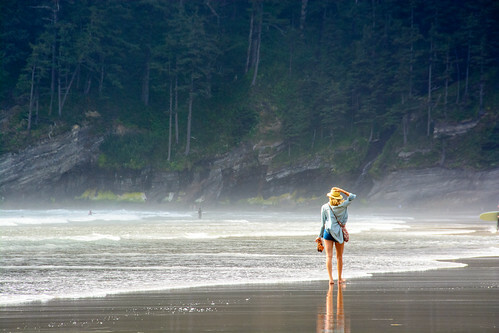 Like the name suggests, it’s one of the many beaches where the creeks from the mountains meet the ocean. The cove makes for not only a perfect surfer’s paradise but also for leisurely walks on the beach. 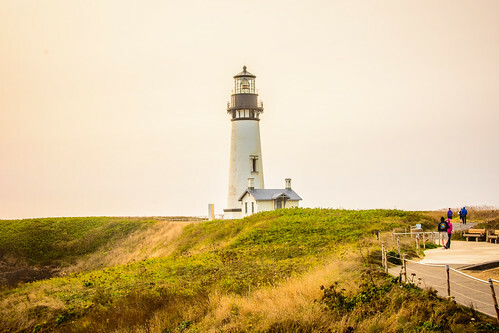 Rekindle your love for lighthouses by first visiting the tiny but spectacularly located one at Cape Meares and then visiting the granddaddy at Yaquina Head Light. 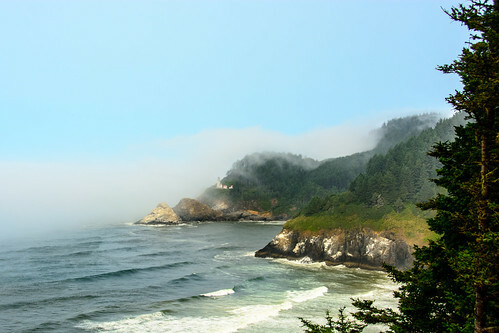 Stop by the Heceta Head Light and marvel at the isolated life that the lighthouse keeper may have led with his family. Wet your feet in the countless tidal pools along the coast besides gigantic Uluru-like rocks. 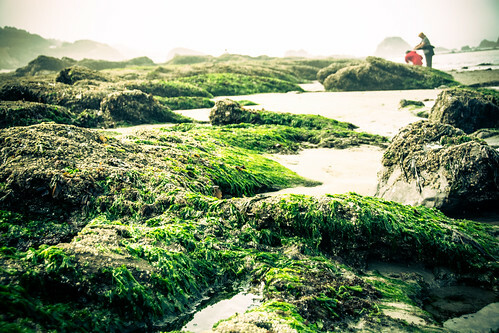 Watch out for the ecologically sensitive clams, starfish, and other rich marine life. Park rangers are at hand to answer your questions at Yaquina. Nope, you cannot even take a simple smooth pebble rock home although they’re strewn all over the beach. Hike the deep dark foggy woods along the coast and enjoy the mottled sunlight as it filters through the fogs and the tall spuce. 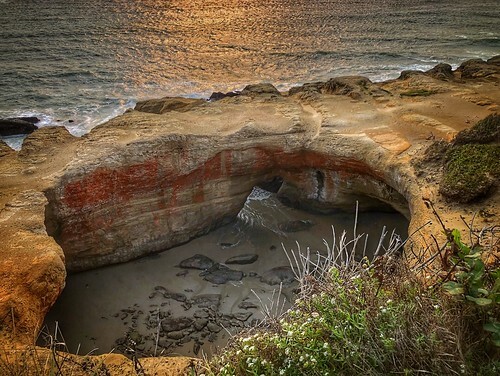 Be amazed at the thunderous Devil’s Churn, Spouting Horn, Devil’s Punchbowl, Thor’s Well, and other delightfully named geological chasms that the sea is carving out every day for the last millions of years. Drive very slowly through idyllic Enid Blyton-esque seaside towns like Oceanside and respect their coastal life. Take countless walks on the beach with your spouse while your 7-year-old runs around crazy. 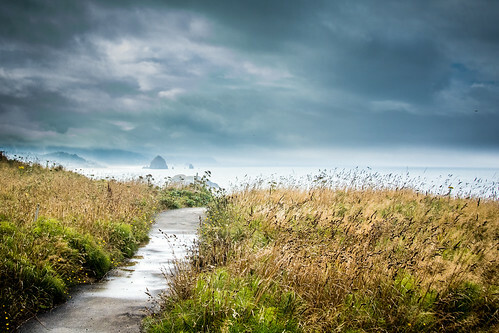 Explore foreboding mountainside tunnels that open up to yet another rocky beach with more haystack rocks out in the distance. 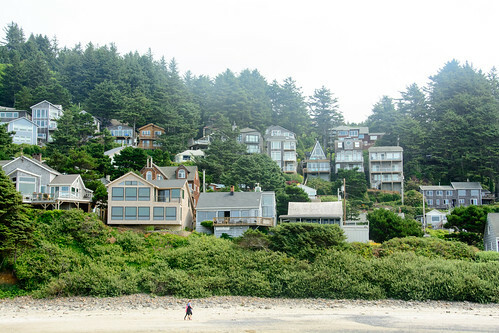 Enjoy seafood to your heart’s content at small port towns like Yachats, Rockaway Beach, Newport, and Garibaldi. But stay away from 1285 Restobar in Florence. However, I highly recommend Local Ocean Seafoods on the Newport boardwalk. 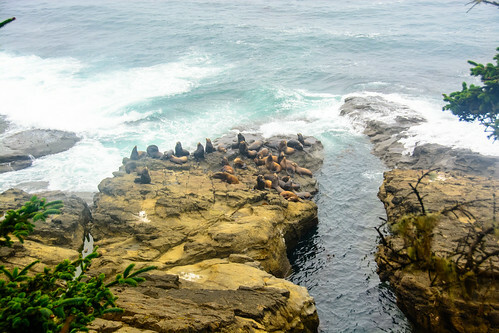 Listen to the sea lions barking as your enjoy your meal in a semi-open cozy restaurant with the smell of the sea breeze. 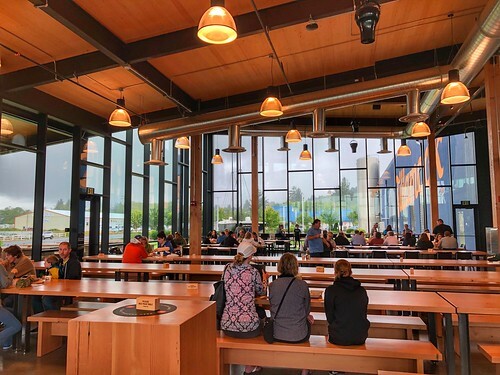 Get buzzed at local craft breweries along the coast. 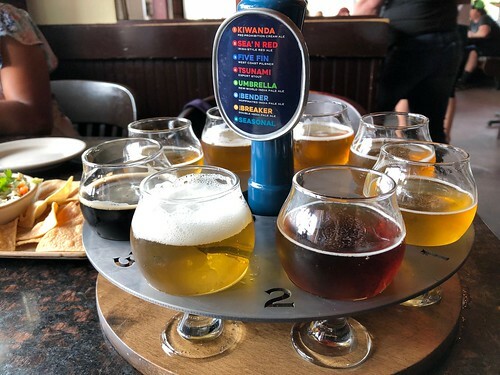 I highly recommend the tasting tray at Pelican Brewery at Cape Kiwanda. Buy the Kiwanda Cream Ale at Portland Airport on your way home. The Yachts Brewing is also an excellent place. 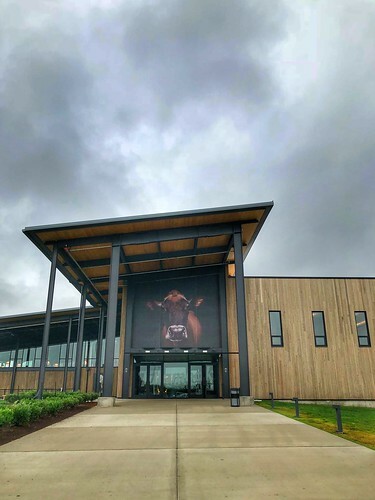 Visit the surprisingly modern Tillamook Cheese Factory and sample their excellent cheddar. Shriek delightfully a few weeks later when you spot that cheese in your local supermarket. 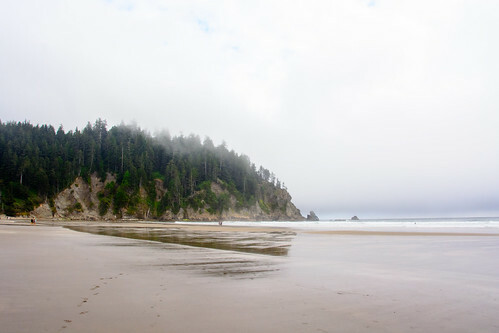 Climb the 240-ft high sand dune on Cape Kiwanda Beach. Be prepared to be lashed by strong winds and sand as you ascend. Make the ascent preferably before guzzling beer at Pelican Brewery lest you’ve to abandon the climb a mere 20 feet from the summit while your kid bounds up and down as if it were a flat plain. Enjoy glorious sunsets from literally anywhere on your drive. Just pull over or sit out on the patio of your motel. Be gobsmacked at the miles of desert-like sand dunes on the oceanside located separated by a thicket of woods. Protected as part of the Oregon Dune National Recreation Area, you can walk and frolic in ripples of sand and within minutes find yourself in a thick forest. Marvel at the razor-sharp cliffs at Cape Arago State Park complete with a secluded beach that you may find yourself alone at. If you have a sharp eye, you may spot spouts from the whales out in the sea. 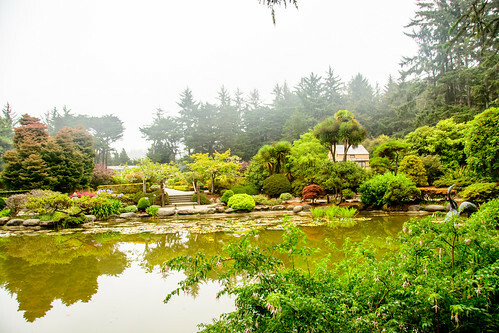 Stumble on to a Japanese garden alongside a rose garden on the coast of all places while listening to sea lions barking in the distance and read the fascinating history of a once-rich tycoon who gave life to a town before getting personally wiped out in the Great Depression. Wave hi to the dozens of sea lions who sit unfazed on rocky outcrops in the cold oceans braving the high winds. 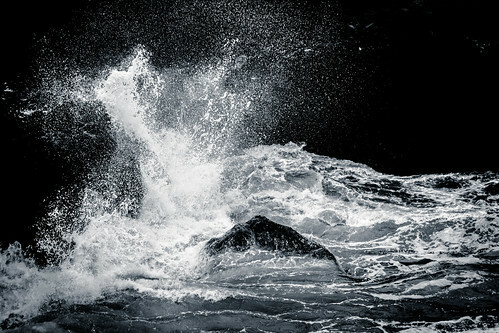 Drive back reluctantly to Portland via the staid Interstate after turning around at Coos Bay and start missing the sound of the waves on rocks and the smell of the ocean breeze. Download our itinerary created painstakingly by my wife who is more of a research and planning nerd than I am. Next ›What happened to U.S. economy since end of WWII?